The growth of eCommerce creates many opportunities for online retailers, but the increasing demand for fast delivery and increased product protection can be a challenge. 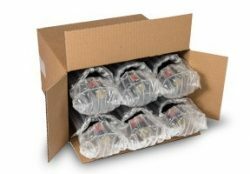 Below are 7 packaging solutions that will protect your products, speed up packing and deliver a great customer experience with your brand. If you ship homeware such as bread bins, saucepans or home accessories, stronger outer packaging will help you maximise product protection. 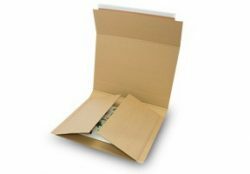 Transit boxes are perfect for this and come with handy folded flaps for quick sealing and increased security. They are also easy and fast to erect and are delivered flat to help you maximise your storage space. 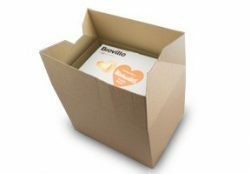 Impress your customers with packaging that not only looks great, but also offers optimum protection for your products. 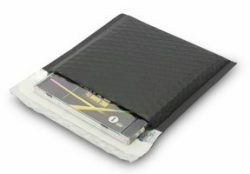 Luxury black mailers are perfect for posting items such as cosmetics, jewellery, CDs and DVDs. They come with a self-seal strip for hassle-free packing, and their inner layer of bubble protects your products in transport. 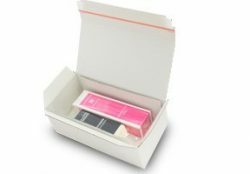 These quick-to-erect boxes come with handy self-seal and tear strips for fast packing and easy opening. If you post high value items such as perfumes and electronics, use Korrvu Inserts for optimum protection. They firmly secure your items side the box, while ensuring beautiful presentation. Breakables such as glasses, plates and ceramics can pose a real packaging challenge for online retailers, especially when posting multiple pieces in one box. Geami is an innovative paper cushioning system designed for shipping fragile items with a peace of mind. Not only does it offer excellent shock protection for your items, but also looks great inside the box and is a real pleasure to unwrap! Postal wraps are perfect all-in-one solution for posting flat items such as books, games, calendars, CDs and DVDs. They fit tightly around your items, minimising the risk of damage, and can be easily sealed without tape! Your customers will be presented with a neat package that not only looks great but is also easy to open! Pizza-style boxes are perfect for posting items such as clothes, shoes and fashion accessories. 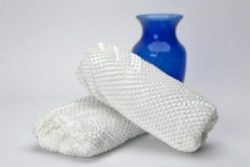 They are both self-sealing for faster packing and easy to open for a better customer experience. Your products will look amazing wrapped in tissue paper that you can also customise with your logo or text for stronger brand presence.